This easy crockpot turkey recipe is sure to become one of your favorites. 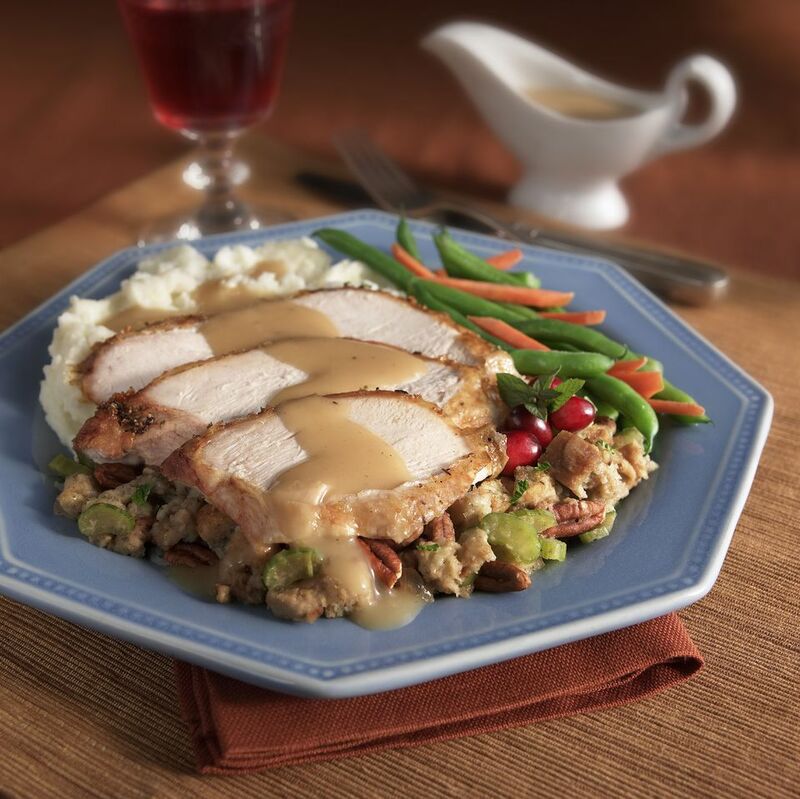 It's like a mini Thanksgiving meal in one, and it's so simple. The stuffing goes into the Crock Pot first, then the turkey cutlets, and finally apple pie filling for a layer of sweetness. To change things up, consider stirring some dried cranberries into the apple pie filling. Spray the inside of the slow cooker stoneware with cooking spray. Place celery, onion, stuffing cubes, chicken broth, and poultry seasoning in the crockpot and stir to combine. Lay turkey cutlets on top of the stuffing mixture in a single layer. Season with salt and pepper. Pour apple pie filling on top, if using.